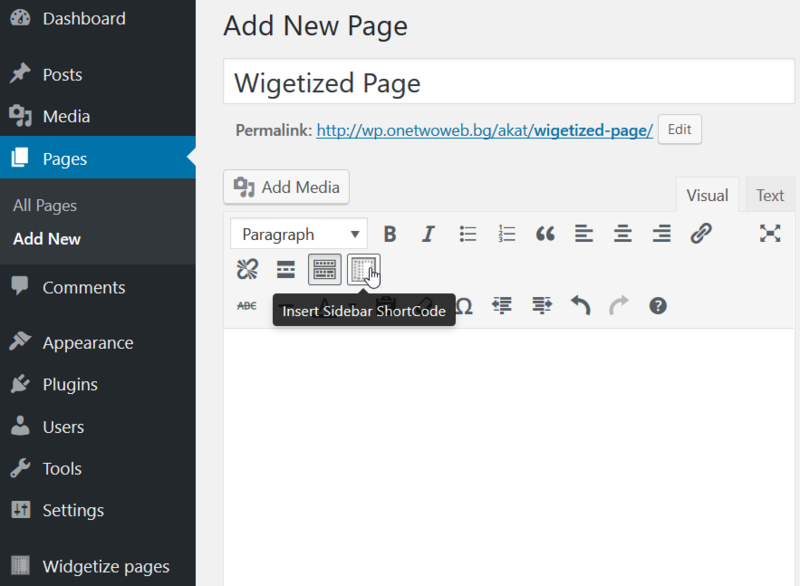 You can now easily widgetize a page and drop any WordPress widget in a page or post content area so you can build your own unique page layout. This is very easy and fun to do and requires no coding knowledge at all. 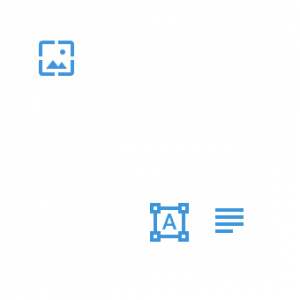 The plugin includes the new OTW Grid Manager Light component that you can use to create your custom responsive page layout in no time! 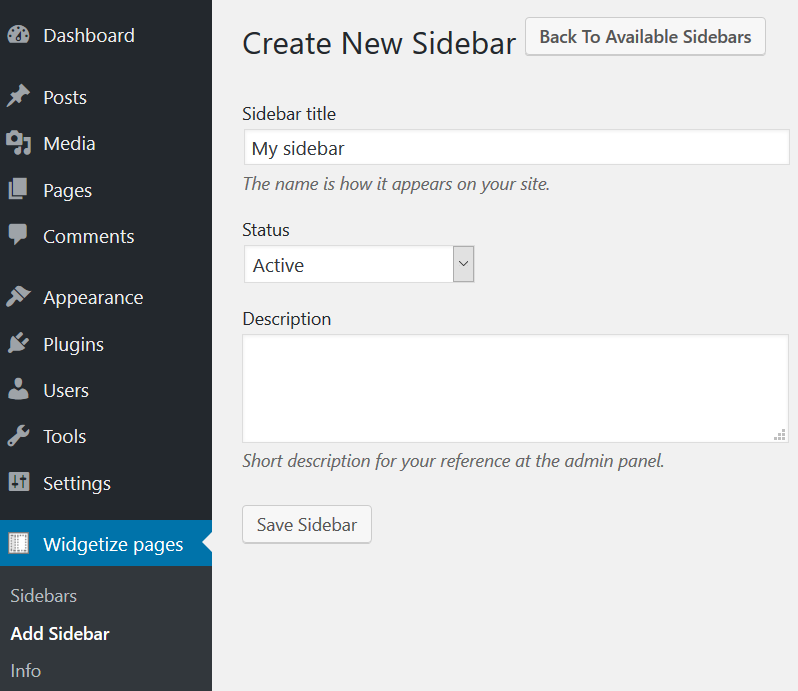 You can use as many widget areas (sidebars) in as many pages/posts as you need. 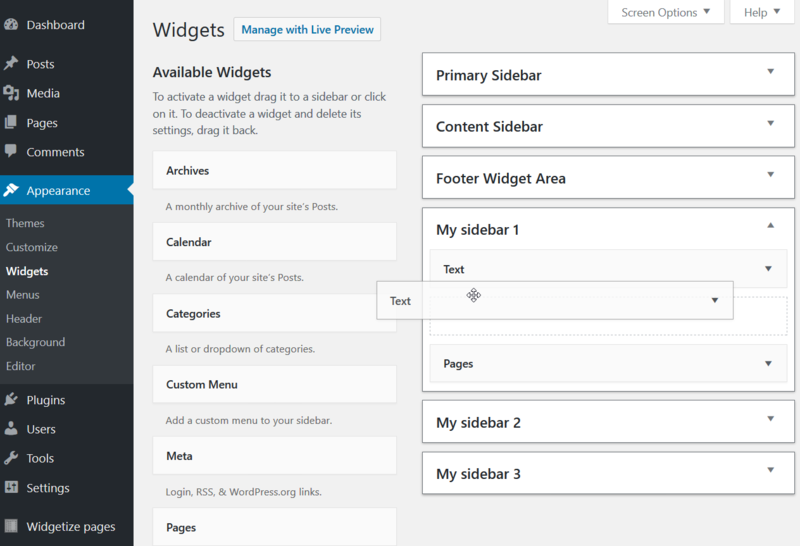 Creating sidebars (widget areas) is unlimited. 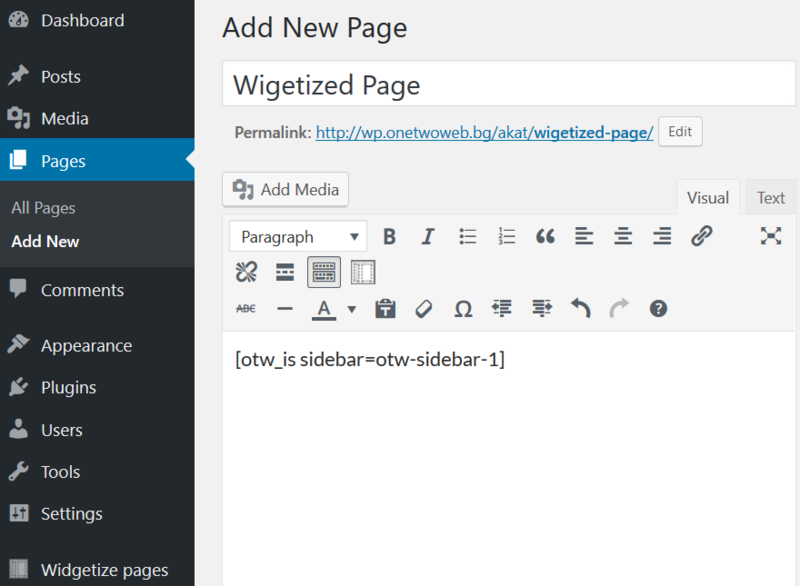 Use the OTW Grid Manager Light to create your custom page layout. 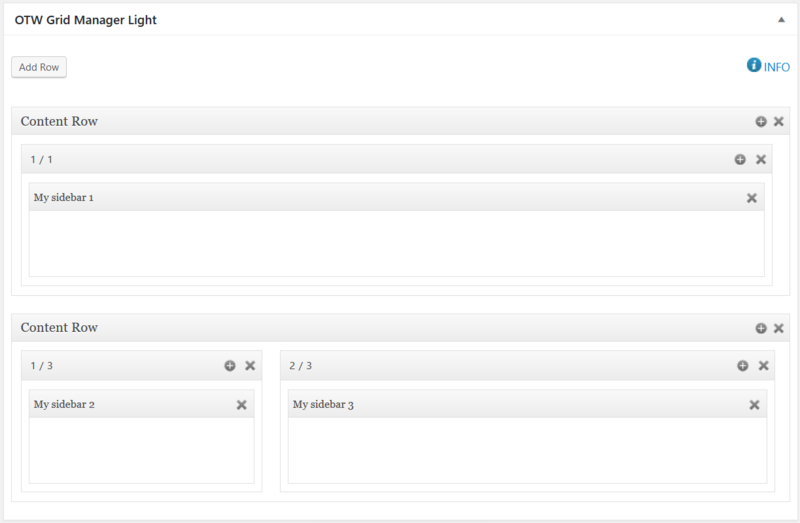 OTW Grid Manager Light is a metabox in add/edit page, bellow the editor. 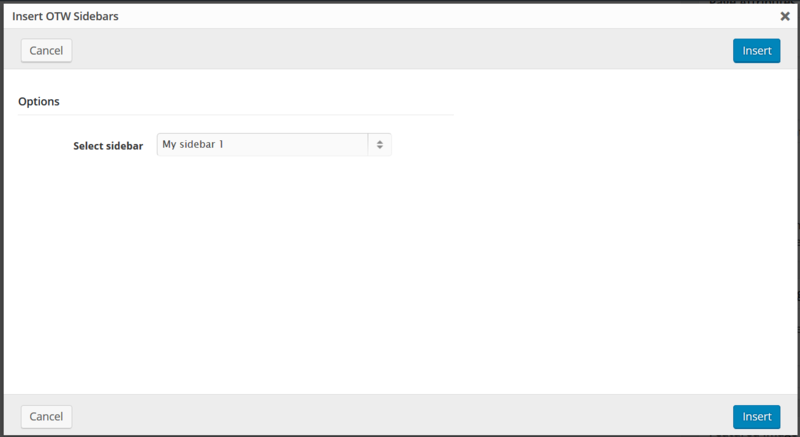 It is all done in a nice and easy interface. Add some rows and columns in the rows. Insert the sidebars in the columns.